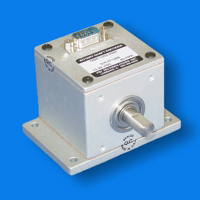 MBR Encoder - FSI Technologies Inc.
FSI’s MBR optical rotary shaft encoder series represents a major price - performance breakthrough. It utilizes IRED light sources and precision mechanical components to provide long life and durability. It is available with single channel or quadrature output and can be used to derive RPM, feet per minute and angular position. Standardized models offer the combined benefits of industrial duty construction, standard connectors, and the fastest availability for common applications at an economical price. Over four decades of engineering and manufacturing expertise is embodied in every MBR. FSI is committed to manufacturing quality products and providing complete customer satisfaction!